Enjoy all the benefits of advanced LED energy-saving technology with the dimmable Feit Electric VB/S/CL/820/FIL Bottle Shape 5.5w LED Original Vintage Light Bulb. 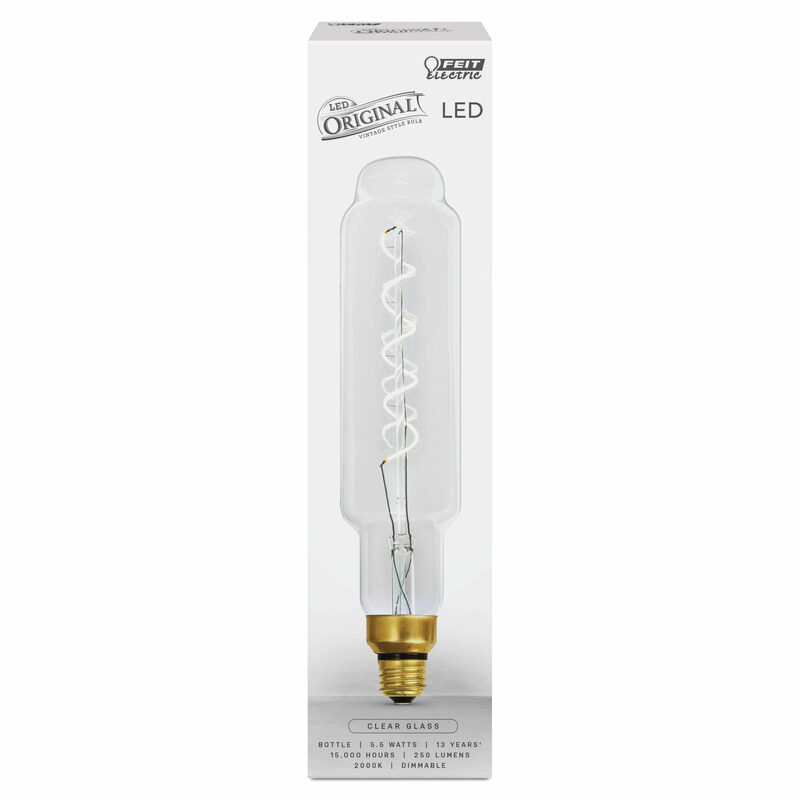 The clear glass bulb features a unique flexible filament and produces a light output of 250 lumens uses 5.5 watts of electricity. Get instant on to full brightness with relatively cool running performance. The Original Vintage LED light bulbs have an average life of 15,000 hours / 13.7 years are RoHS compliant and are 100% mercury free. Choose a dependable decorative bulb for residential or commercial applications.